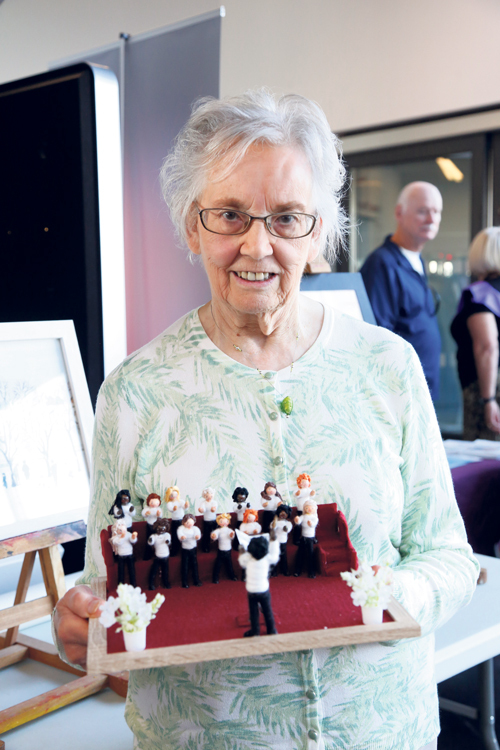 IT’S time for creative over 50s to shine - with Bristol’s Celebrating Age Festival calling for entries for its annual art and craft competition. The Festival will take place at City Hall, College Green, on Saturday 23 September - where prizes will be awarded to three successful artists and their work will be displayed. Celebrating Age Festival chair Mark Baker is looking for art and craft entries ‘in any medium’ - from paintings and sculptures to collage and tapestry. He says: “If you live in Bishopston, Redland or Cotham and are over 50, we look forward to receiving your entries. I feel really excited about this. There is so much mature talent in Bristol - I want everyone to show the city what they can do. This year's theme is “age-friendly city”. Entries could illustrate this through photography, model modelling, painting or other innovative ideas showcasing all that is positive, old and young, across Bristol. All entries must be submitted to central library on Saturday 19 August, where a ballot box will be available so people can vote for their favourite entry. For more information about the competition visit www.celebratingagefestival.co.uk or contact Shelley Hankins by email shelleyhankins@ageukbristol.org.uk or call 0117 929 7537.